Best Dessert Shot Recipe | 12 Sweet Shot Recipes For Dessert! We’re going to show you the BEST dessert shot recipes to make for New Year’s Eve or at any party! 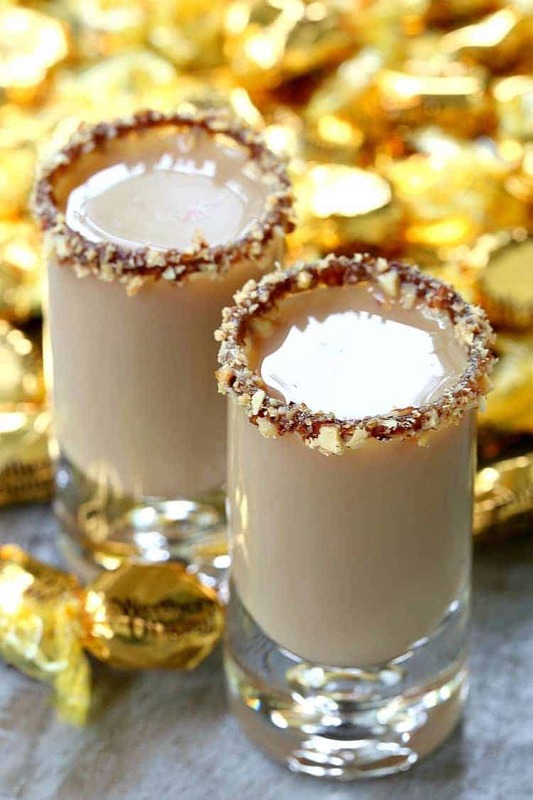 You can serve these boozy dessert shots instead of dessert! As you all know by now, I’m a big fan of shots. Layered shots, party shots, dessert shots or even tequila shots. Don’t shots make any gathering seem like more of a party? Or just more fun? Now I’m not saying that you have to go knock down 7 or 8 shots and get all crazy…my 20’s are long over. The recovery time is just too much for that these days. 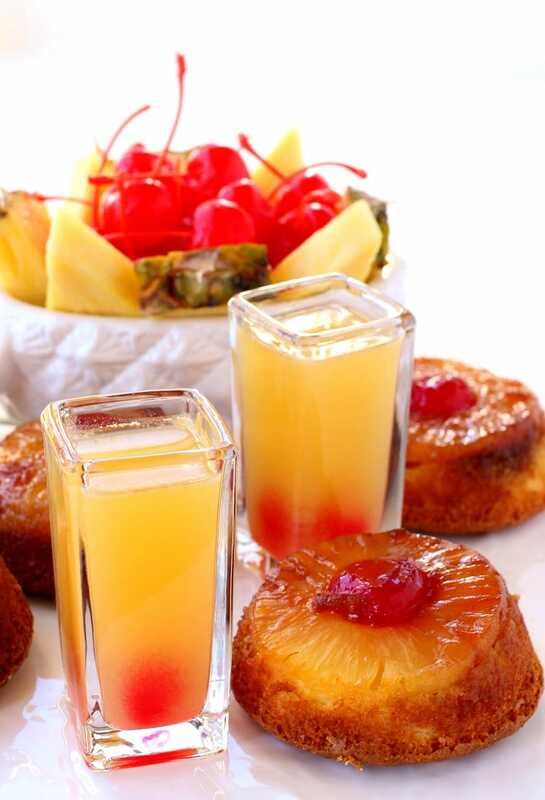 But one or two tasty shots or a couple of these dessert shots is going to be the perfect addition to any party. 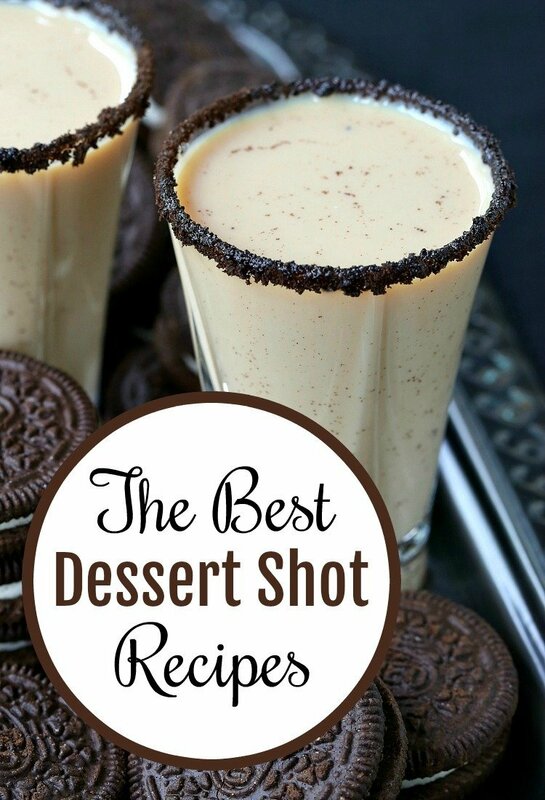 You can serve these dessert shots instead of dessert or with dessert, totally up to you! 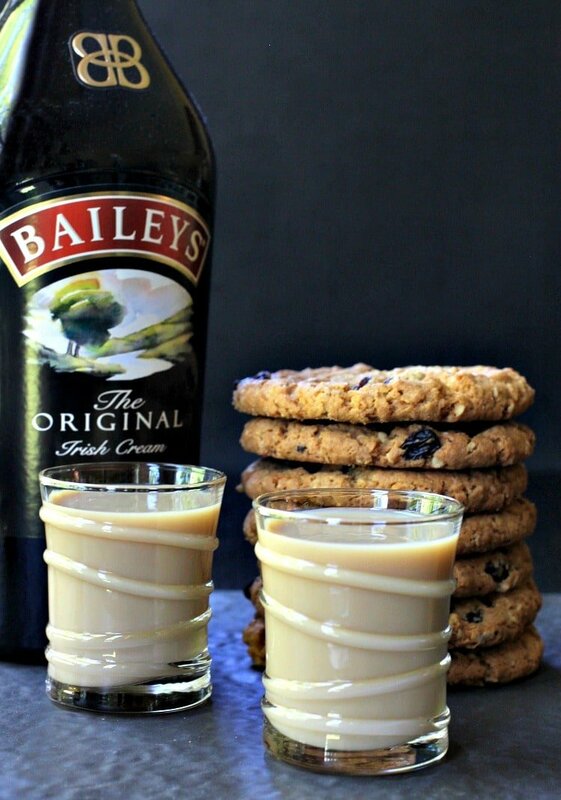 These shot recipes are so good I feel that no baked good is required. Oreo cookie fan? 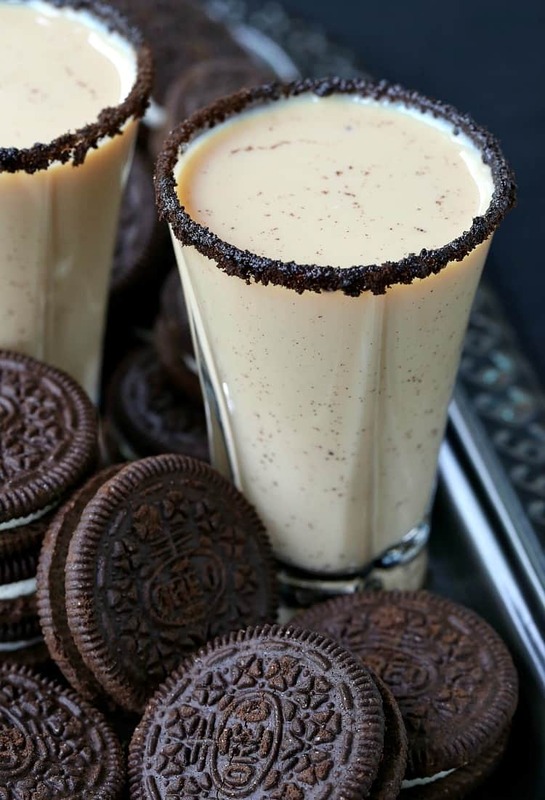 Then you’re going to love these Oreo Cookie Shots. 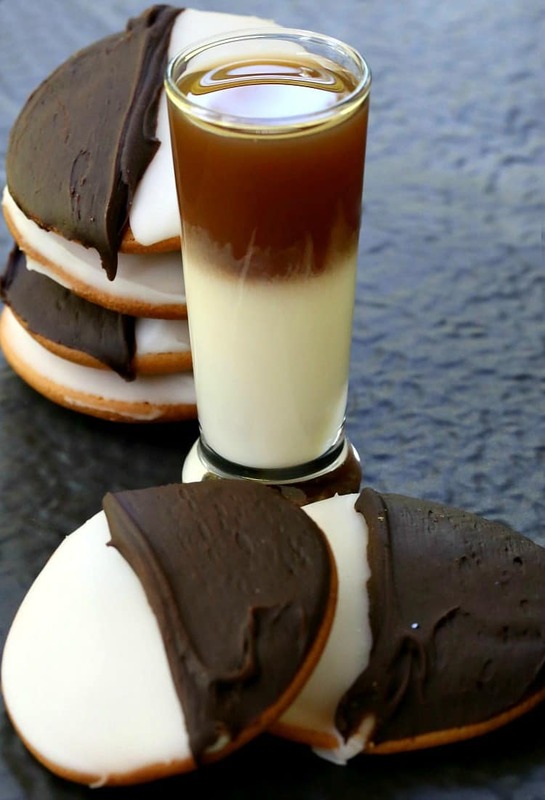 These vodka shots are smooth and creamy and chocolaty…just like an Oreo cookie. Toffee is one of my favorite things. Combine that with these boozy chocolate vodka shots and I’m in heaven. These shots are definitely on the top of my Best Dessert Shot Recipes list! 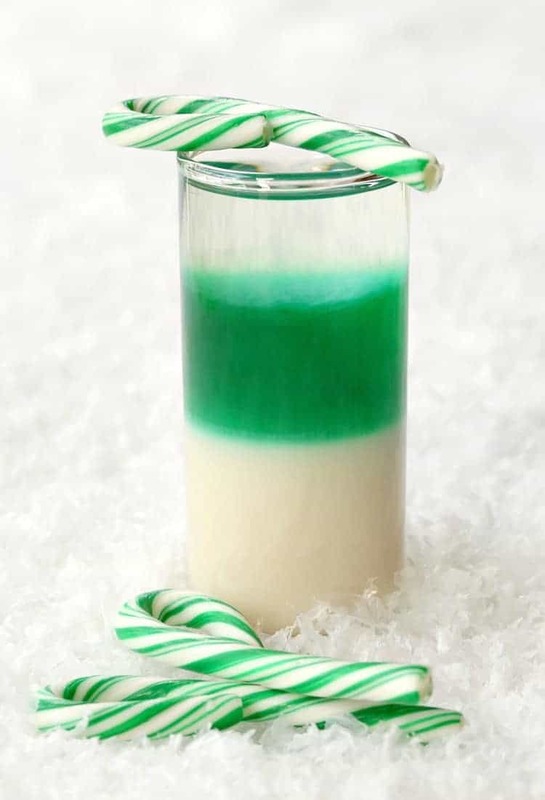 Layered shots are always going to be a party favorite! You can learn how to layer a shot by watching a video on how I layer my famous Duck Fart Shots recipe! It’s easier than it looks! These Halloween sweet shots are as festive as they are tasty. 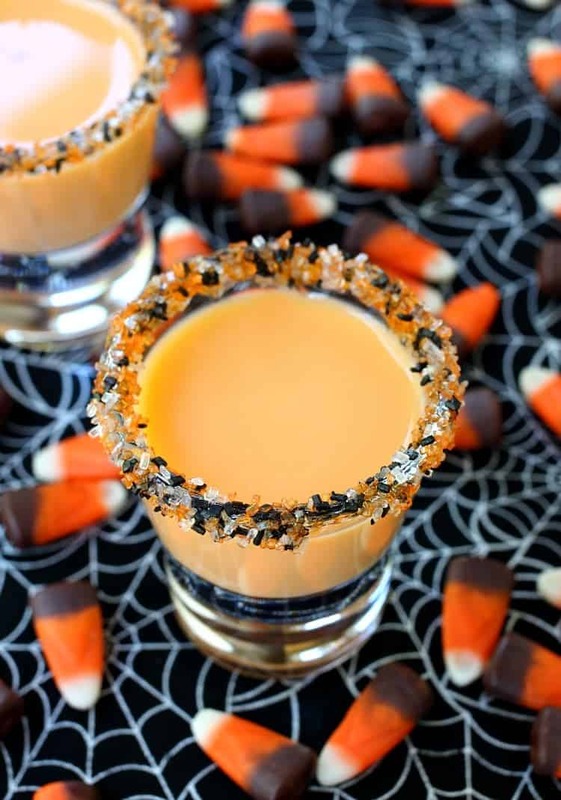 Don’t feel like you have to save this shot recipe for Halloween, they are so good you’ll want to make them more than once a year! All that’s missing here are the raisins – unless raisins aren’t you’re thing. 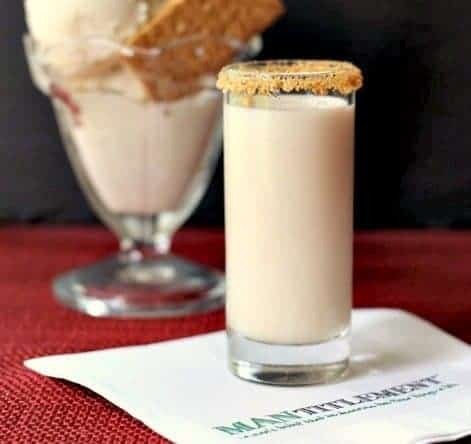 Oatmeal cookie shots are made with Bailey’s and a touch of that famous cinnamon whiskey…and you’re going to love the flavor! Imagine sitting on the deck or by a pool on a hot summer day with a few of these tasty shots in the shaker? Yes, I definitely can – and have. These vodka and lemonade shots are super refreshing! Never had an ice cream shot? Shake up some softened (but still cold) ice cream with bourbon and cider and see what happens. Pour a few of these bananas foster shots out after dinner and wait for the applause. 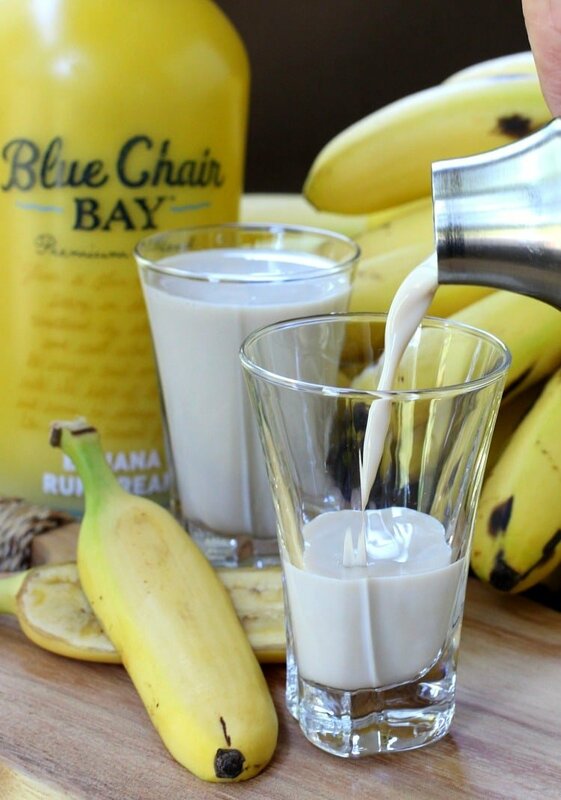 These rum shots are made with Blue Chair Bay banana cream rum…check out the post for this dessert shot recipe and also to see pics of me and my bro twinning at Kenny Chesney. Pineapple Upside Down anything is a big flavor for me. 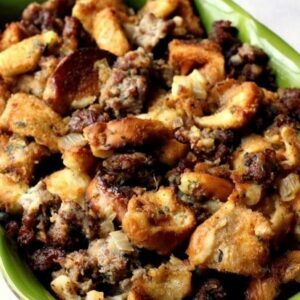 Try our Pineapple Upside Down Pineapple Chicken Thighs to see what I mean…you can also make our Upside Down Pineapple Sausage Stuffing for Thanksgiving, Christmas or any dinner you want to make special. 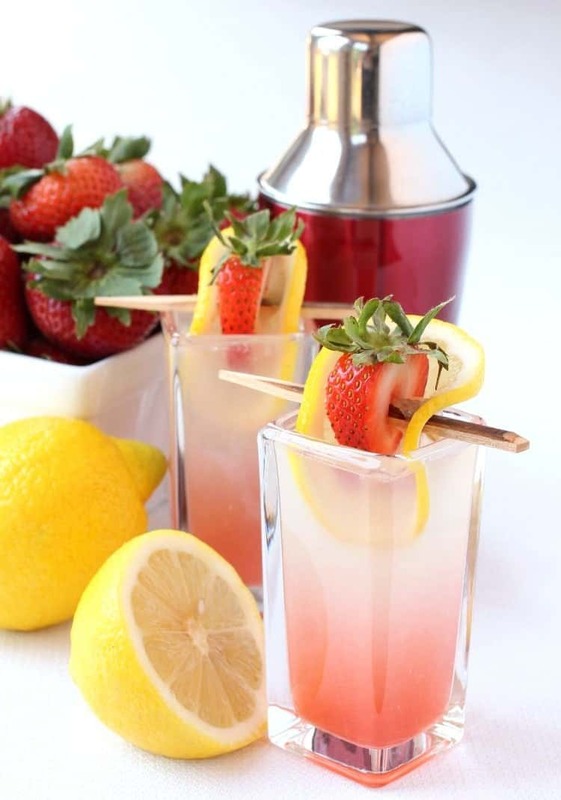 Because these fruity shots are going to steal the show! We don’t want to forget all those holiday parties. These layered dessert shots are going to blow them all away! 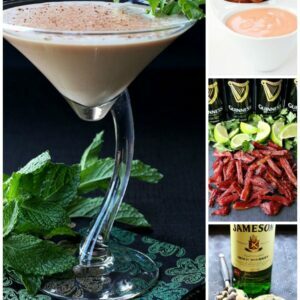 Also refer to my simple layering tips (above) to help make this cocktail look as good as it tastes! 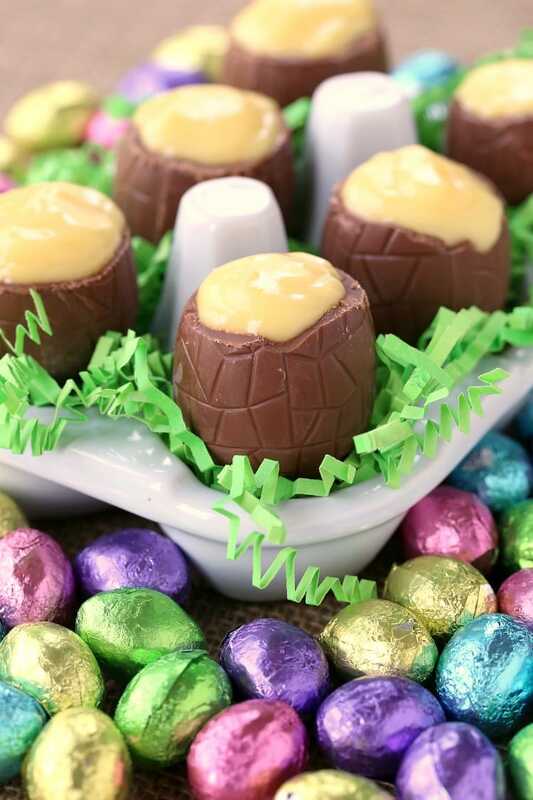 How about these chocolate eggs in your Easter basket? I’m probably down for quite a few of these boozy, chocolate treats. You can make these with different kinds of chocolate for different holidays or parties! 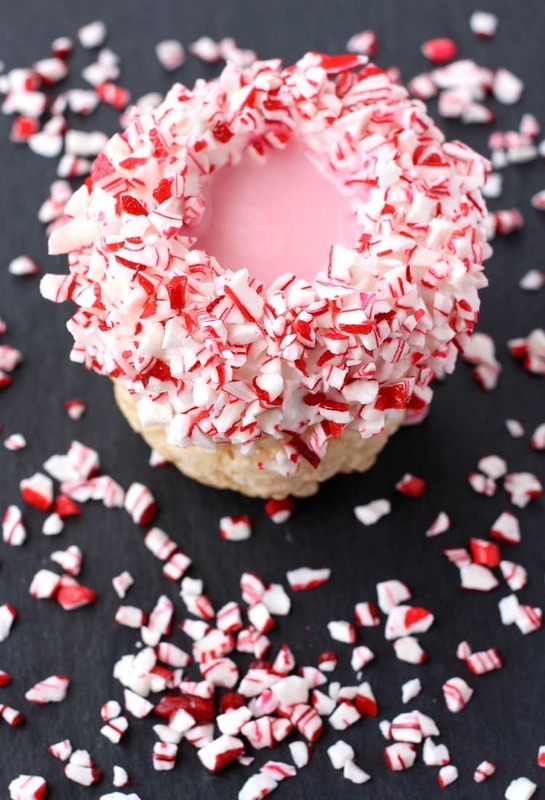 Another holiday boozy dessert, these krispie treat shots are not meant for the kiddie table! 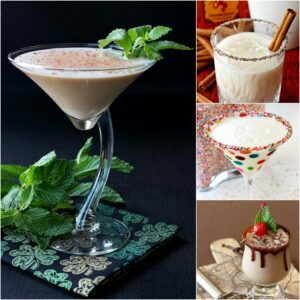 Filled with a creamy, RumChata and vodka shot, these drinks also have an edible cup! Because adults need to have treats, too!